To give you an idea of just how big Star Citizen’s crowdfunding campaign is, consider this: the second highest-earning crowdfunded project ever – and the most successful ever seen on the Kickstarter platform - is the Pebble Time smartwatch project that raised $20.3 million. Star Citizen, which continues to raise funds, recently passed the $100 million mark - a feat it managed just days after opening the long-awaited Alpha 2.0 update to backers. 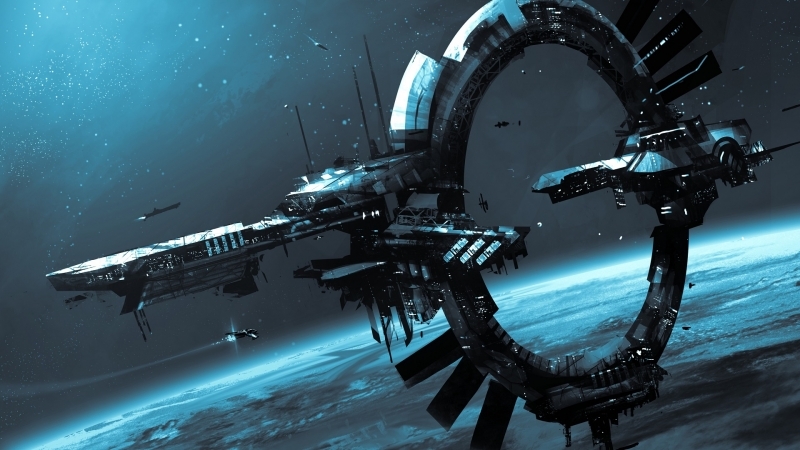 Alpha 2.0 is the biggest update Star Citizen has received so far. It lets players explore the enviroments of the gas giant Crusader, including its three moons and three separate space stations. The update brings eight comm array missions involving dogfighting and EVA (extra-vehicular activity), eight research missions requiring the protection of civilians or recovering lost data and 1 Exploration mission of an abandoned station. These will feature “20+ random encounters,” that include dogfighting with a mix of friendlies and hostiles, and four random exploration missions. In addition to adding three new ships and featuring first-person combat, Alpha 2.0 adds three new flight modes that help with particular flying situations. Precision mode, for example, can be used for complex maneuvers such as landing, while cruise mode gives velocity at the expense of control. There’s also Quantum travel, which enables long-distance travel over relatively short time periods. Despite the $100 million and the Alpha 2.0 update, there’s still no official date for when the full version of Star Citizen will be launched. Hopefully, 2016 will be the year Chris Roberts’ space sim gets a release, as many backers have spent a lot of money on the game’s development - one fan has already paid about $30,000 on Star Citizen ships. Recently, it was revealed that Star Citizen’s campaign mode, Squadron 42, will feature an all-star Hollywood cast, including Gary Oldman, Gillian Anderson, Andy Serkis, Mark Strong, and Mark Hamill, who also worked with Roberts on some of the Wing Commander games.